Liverpool new signing Mohamed Salah was subject to a quick Q&A session conducted by the club’s official channcel, LFC TV. Salah had completed his switch from Serie A side AS Roma to the Merseyside club last week for an initial fee of €42m which can go up to €50m if certain performance-related targets were met. 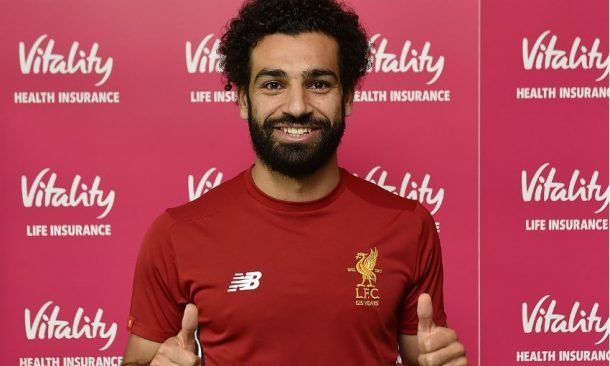 The transfer made the Egypt international the most expensive African player of all time, breaking the record previously set by his new teammate and Senegal international Sadio Mane when he joined Liverpool for €38,5m. Q: What is the first thing you do in the morning? A: Smile and keep quiet for a couple of minutes. A: Honestly I think I am always happy, even the smallest thing would me happy. Q: What makes you emotional? A: When I score a goal. Q: What was the last lie you told? A: Lie? I never lie (laughs). A: I never enjoyed school, I always played football. A: The sound of my daughter. Q: What is your best physical feature? A: My hair and beard. Q: What is your best day off? A: Stay at home, relax, don’t talk to anyone, don’t do any interviews. Q: Who is the greatest ever Egyptian? Q: What is the best thing about football? A: I think people who have a good life and respect each other. A: Have many titles in my career so I always try to fight and win something for any club, I hope I can do it here.